Lopez Community Land Trust took possession of Stonecrest Farm– a 48 acre historic working farm—in May of 2017. LCLT needed to raise $1,000,000 to purchase Stonecrest Farm and now approximately $250,000 remains to be raised over the next 3 years. The organization invites you to join in the purchase of this farm by helping us raise the @$250,000 remaining on the note. 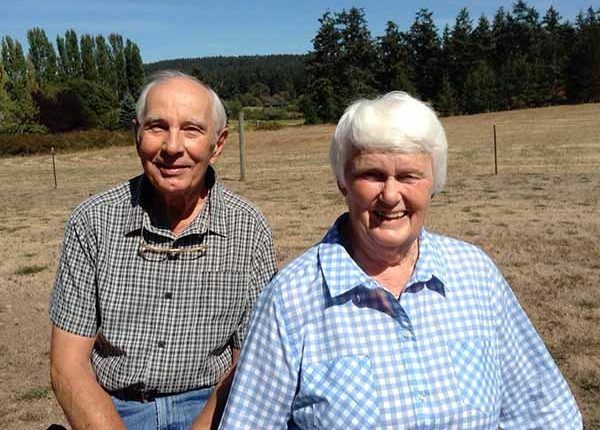 Bob and Cathy Clemens, the former owners, are in their 80’s and expressed their desire to live out the rest of their lives on the farm through a Life Estate since they could no longer work the land. There is a one-bedroom guesthouse on the property and a bunkhouse so a farm lessee could have a place to live. 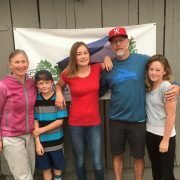 LCLT put out a request for proposals for a farm manager or family to lease the farm, and announced in the fall of 2017 that a farm family had been chosen—Meike Meissner, Mike McMahon, and their children Hetty, Lolo, and Andris would be moving in the following spring. LCLT is grateful to have found this family and announces their arrival April 3, 2018. 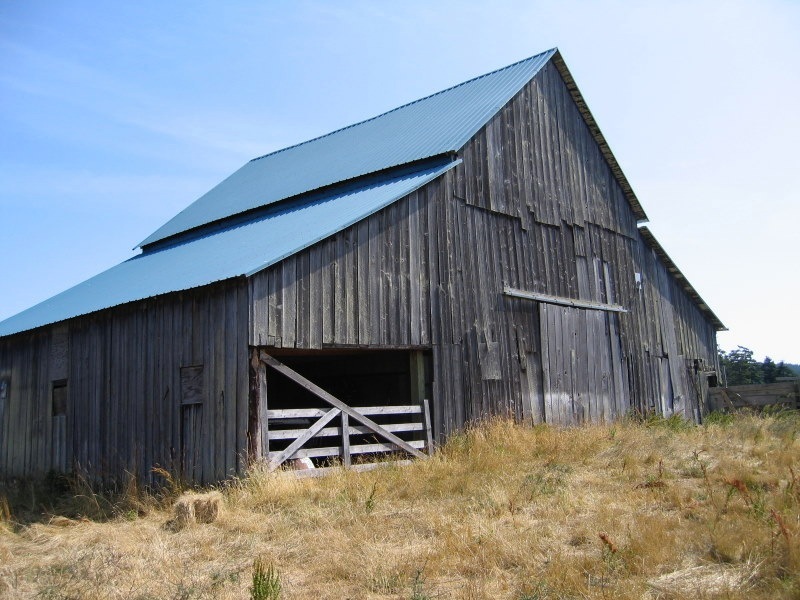 With the purchase of Stonecrest Farm, LCLT began the Lopez Island Farm Trust (LIFT) project. We see this endeavor as a legacy for Lopez Island, and a boost to farmers who want to work hard and yet don’t have resources to purchase land and equipment. The mission of LIFT is to hold farmland in trust to support a perpetual, affordable and regenerative local food system on Lopez Island. The first effort to hold farmland in trust is the purchase of Stonecrest Farm. LIFT is a way to assure more local food production on Lopez for generations to come. Land is an essential element of farming. After a century of significant farmland loss throughout the San Juan Islands (USDA census records show a 27% loss from 2007 – 2012), access to affordable, productive farmland is one of the greatest challenges that our region’s farmers face. The U.S. loses farmland at a rate of 2 acres/minute, over 240 million acres since 1970. The average age of a farmer in San Juan County is 62. Who will farm? The majority of farmers in the County today have no plan for transferring their farm operation to the next generation, and for many, the value of their farmland as real estate is one of their greatest assets and a necessary part of their retirement plan. Farmland in San Juan County is indeed being preserved but not actively farmed. Repeated haying of preserved land doesn’t increase soil health and fertility, and offers little variety for our table. How will we train new farmers and where will farming happen? With the disruption of climate where drought has caused parts of central California to be incapable of food production (564,000 acres of agricultural land is predicted to be idled in the Central Valley of California alone due to drought), with more and more food produced with GMO’s, pesticides, and unnatural processing, with local ferry service that is unreliable in emergencies and remote rural areas as the last to be served in any crisis, how will Lopez feed itself? How can our children access healthy food? How will our community assure that new farmers are trained and supported? Finally, with some of the basic farming infrastructure of these islands missing or in disarray, how can we garner the necessary infrastructure for food security? Full-time residents on Lopez Island will purchase an estimated $9.4 million worth of food this year. Additionally, restaurants will purchase an estimated $1 million worth of food. 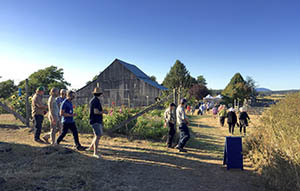 Therefore, the total value of food consumption on Lopez Island is estimated at $10.4 million. A significant chunk of these dollars would go far in our local economy if they were staying with local farm. Make history with a lasting legacy by ensuring that our farms are farmed, that our precious farmland stays farmland – forever.